DJI Tello, Spark, Mavic Air, or Mavic Pro: What Are the Differences and Which Drone Should You Pick? In less than a year, DJI released four entry-level drones, from the cheap Tello to the more advanced Mavic Platinum. The mid-range segment is now occupied by the Spark and the newly announced Mavic Air. In some aspects, the latest DJI drone outperforms the pricier models, which can be confusing. Is the Mavic Air better than the Mavic Pro? Which one should you buy and why? The answer: it depends of your needs. Up next, we provide a complete comparison to help you navigate through the main differences of each drone, including their strengths and weaknesses. This micro drone was just announced a few weeks ago. 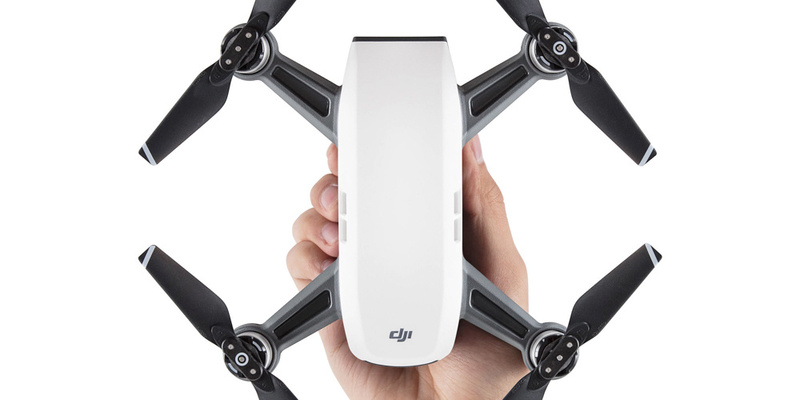 DJI decided to tackle the very crowded entry-level market in partnership with Intel and another Chinese manufacturer called Ryze Tech. The result? A tiny drone loaded with sensors and advanced stabilization features. The onboard camera can record up to 720 at 30 fps (FOV 82 degrees) and capture five-megapixel images (2592x1936 px). Its fixed camera offers electronic stabilization. The video stream is sent directly to the smartphone, which records the photo and video files. The phone is also used to control the drone but you can get some stick time and learn how to fly with a GameSir controller or any accessory compatible with the Apple MFI protocol. 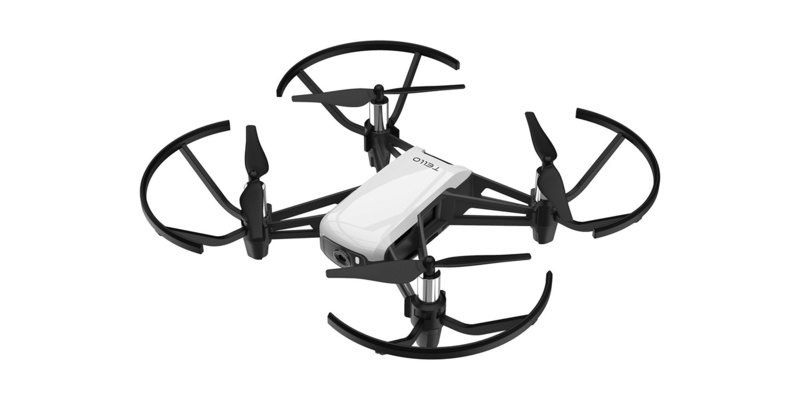 Like most micro drones in this category, the Tello is crash resistant. The Tello is a cheap indoor drone that delivers low quality photo and video directly on your smartphone. Don’t expect to fly far or produce nice images with this toy. However, it can be the perfect choice to get familiar with the controls and learn the basics before buying and crashing an expensive drone like the Mavic. The Spark is the bare minimum drone needed to capture some decent footage. The camera is only mounted on a two-axis gimbal. The yaw stabilization is missing but the roll and pitch axis still deliver good performances. The video is limited to 1080/30p at 24 Mbps. Unfortunately, the 24 and 25 frames-per-second modes are not available. Picture profiles and adjustment settings such as D-LOG, Cinelike, sharpness, contrast, or saturation are not supported either. In stills mode, the 12-megapixel sensor can only capture JPEG images; raw DNG is not available. However, the Spark is capable of shooting time-lapses at up to two-second intervals as well as bracketing for HDR photography. Weighing only 0.6 pounds (300 grams), the Spark goes unnoticed in your bag. It can handle moderate winds thanks to its maximum speed of 31 mph (50 kph) in sport mode. In terms of endurance, the small 3S battery usually lasts about 12-16 minutes depending of your flight style. Finally, the Spark is equipped with a forward obstacle avoidance system. 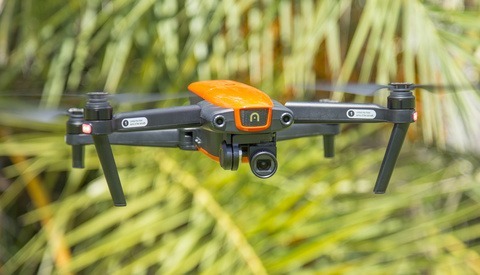 More than a basic selfie drone, the DJI Spark is capable of delivering acceptable photos and videos in a very small package at a reasonable price. It's an ideal choice for casual users who don’t plan on doing advanced media editing. Despite its name, the Mavic Air borrows features from both the Spark and Mavic Pro. Size-wise, the Air is actually much closer to the small Spark than the medium-size Mavic but DJI managed to install a three-axis gimbal on this 0.95 pound (430 gram) drone. The whole gimbal mechanism looks sturdier than the Mavic and seems better protected by the frame. Like the Mavic Pro, the Mavic Air camera integrates a small 1/2.3-inch sensor with limited low light sensitivity. At 24mm, the Air focal is also wider than the 28mm of the Pro. The tilt effect of the horizon caused by the IMU drift on the gimbal should be less noticeable on the Mavic Air. A good point. DJI finally dropped the autofocus feature on the Mavic Air. Another wise decision because wide-angle cameras combined with small sensors don’t require autofocus. Everything beyond two or three feet is set to infinity anyway. In the upgrade department, the Mavic Air finally boosts the bit rate to 100 Mbps in h.264. This is undeniably the most important selling point and should eliminate the bad compression artifacts visible on the Mavic Pro in 4K video. The D-Log and other picture profiles can now be used without grading nightmares. The 1080 video mode can record video in 120 frames per second for smooth slow-motion. Novices and student pilots will also appreciate the more advanced return to home features based on the frontward and backward collision avoidance sensors which protect the drone against impromptu encounters with buildings, trees, or other obstacles. 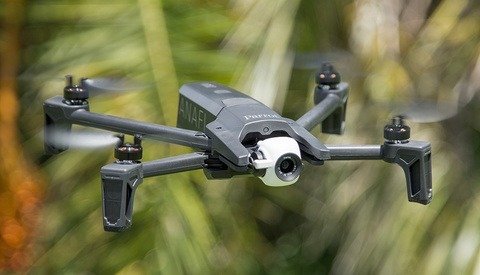 The only negative point of this drone is the lower quality radio transmission technology based on Wi-Fi signal, whereas the Mavic Pro relies on the strong OcuSync link. Essentially, the Air is recycling the technology from lower-end drones like the Spark and entry-level Phantoms. That being said, DJI announced 2.5 miles (4 kilometers) of range on the Mavic Air, which should be plenty enough to blow the FAA’s regulation (maintain visual line of sight). The main reception issue may arise in urban areas heavily polluted with Wi-Fi interferences. Improved design of the controller. Comes with removable sticks and larger smartphone grip. 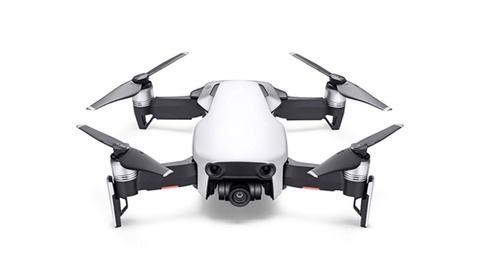 Except for the range and radio transmission technology, the Mavic Air combines the best of both worlds: the portability of the Spark and advanced, if not better, video specifications from the Mavic Pro. The latter only benefits from additional flight time (27 minutes versus 21) and better wireless technology. At $799, the Mavic Air is a very convincing drone. Thanks to its foldable arms, the Mavic Pro can fit in your camera bag without taking up all the space like the DJI Phantom. It weighs only 1.8 pounds (800 grams). Like his larger brothers, the Mavic offers all the usual video features such as 1080/60p, 4K/30p, customizable picture profiles, and D-LOG. This drone’s only deal-breaker is the low 60 Mbps bitrate which is clearly not enough in 4K video. The interframe (IPB) compression tends to create bad artifacts every eight frames due to the limited dataflow. The Log mode is unusable and the white balance must be set very carefully. The small 1/2.3-inch 12-megapixels sensor outputs JPEG and raw DNG pictures. On the plus side, the camera can rotate 90 degrees (portrait), which is very convenient to capture high definition panoramic images. The Mavic Pro and Platinum both come with relatively narrow focal at 28mm (35mm format equivalent) compared to 24mm on the Mavic Air and Phantom 4 Pro. The lens is a tad brighter on this drone at f/2.2 but it won’t make a big difference in low light because of the limited 1/2.3-inch sensor. 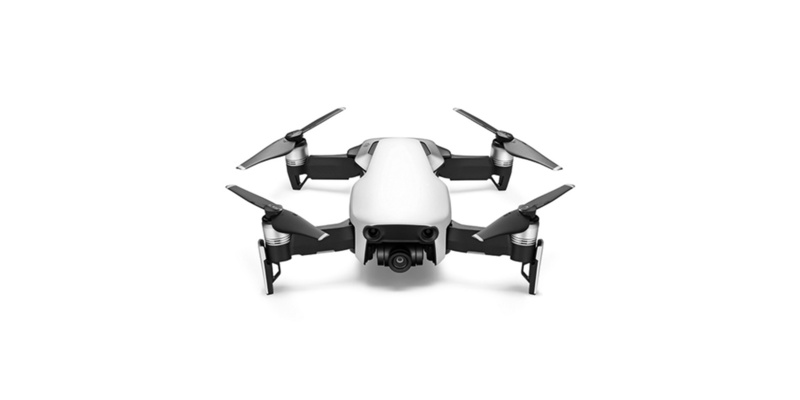 Like the smaller Mavic Air, the Mavic Pro can handle moderate wind fairly well and reach a speed of up to 40 mph (65 kph). However, the Pro version can climb significantly faster than the Mavic Air (16.4 ft/s versus 9.8 ft/s for the Air). It's something to keep in mind if you need to ascend rapidly. 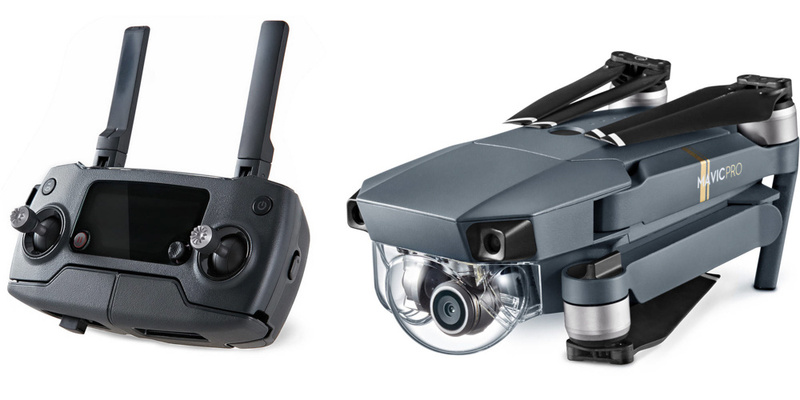 Compared to the Mavic Pro, the Platinum comes with cinema 4K resolution (DCI) and a redesigned powertrain for quieter operations and additional flight time (three more minutes over the Mavic Pro). Should you buy the Mavic Pro or the Mavic Air? Unless you need the additional flight time and stronger radio link, it’s hard to recommend the Mavic Pro and Platinum at this time. The low 60 Mbps bitrate in 4K video is a big problem on this drone. Thankfully, DJI corrected this issue on the Mavic Air by increasing the bitrate to 100 Mbps. Unfortunately, the radio transmission system of the Air relies on the delicate Wi-Fi signal which is not the best option for long range operations and radio-polluted urban flights. 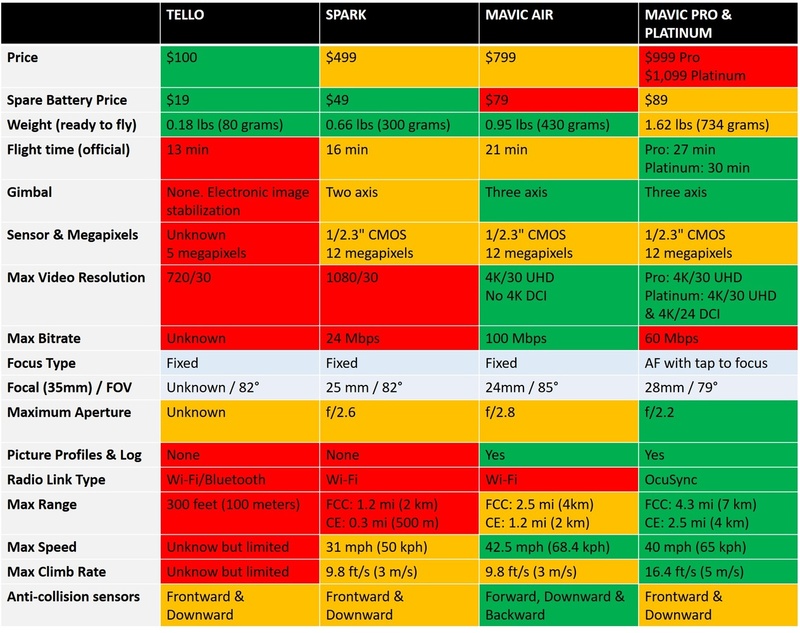 Eventually, it all comes down to image quality and price (Mavic Air) versus endurance and range (Mavic Pro and Mavic Pro Platinum). In terms of additional features, the new backward sensors introduced on the Mavic Air can save the day, ask Lee Morris about that. The Mavic Pro only features a forward collision avoidance sensor. Finally, the Mavic Pro should be upgraded sometime this year and there is not much reason to buy this “old” drone. Try to find a discounted unit online or wait for the Mavic Pro 2. If the lower range and endurance is not an issue for you, just buy the Mavic Air. I'd rather have more to deal with in post than chance a flyaway/crash due to wifi interference. I understand your position. The Mavic Air would have been perfect with OcuSync or Lightbridge. 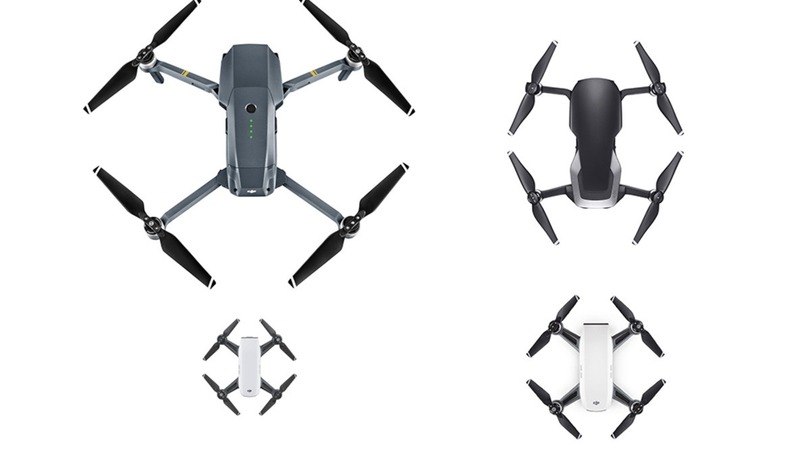 However DJI announces almost double the range on the Mavic Air compared to the Spark. And the Spark can do 3000-4000 feet (average). There are many factors that can extend the range (antenna placement, filtering, receiver sensitivity, etc.). We'll see. "This micro drone was just announced a few weeks ago. DJI decided to tackle the very crowded entry-level market in partnership with Intel and another Chinese manufacturer called Ryze Tech." To clarify, Ryze Tech is only the low-end manufacturer and integrator of the Tello. All the key parts come from Intel and DJI. 1. Intel via the company Movidius acquired in 2016 provides the Vision Processing Unit (VPU) called Myriad. The VPU gives brain power to the Tello and many other DJI drones. That's how these drones can see and avoid obstacles, recognize gestures and so on. The Myriad 2 chip is in the Phantoms 4 (Myriad MA2100) and Mavic Pro (Myriad MA2155). The competitor of Intel on this market is Qualcomm with its Snapdragon chips. 2. Then, DJI provides the flight controller and FC firmware. So without DJI and Intel, Ryze would just be another cheap entry level drone manufacturer making brushless toys without marketing power and trying to compete on a saturated low margin market. Ryze was very noisy about its partnership with DJI at the CES so I just called it the DJI Tello in the tittle and explained the partnership briefly in the article.